Montreal celebrity chef Antonio Park has been keeping quiet about his involvement with Toronto-based rapper Drake's new restaurant — a high-end sports bar called Pick 6ix. 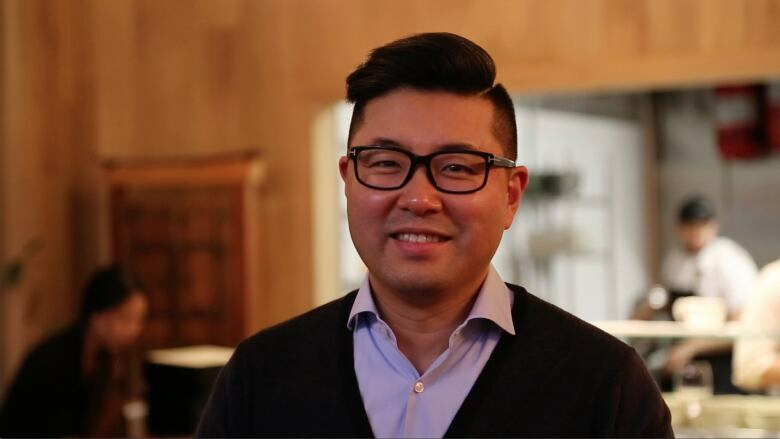 Park, who owns and runs Lavanderia and Park in Westmount, is collaborating with Drake to develop a menu for the as-yet unopened downtown Toronto eatery. "It's a sports bar where you aren't going to have sports bar food," Park told CBC Montreal's Daybreak, adding that the feel of the place is meant to be a balance of upscale and casual. "Would you go on a date at a sports bar? No." The name, Park explains, refers to a phrase borrowed from American football where a pass is intercepted and then turned into a touchdown. It also represents a nickname for Canada's largest city, using the 416 area code which Drake helped popularize globally. Park met Drake through "common friends," and the two held a star-studded soft opening Jan. 10 which was attended by another close friend, former Montreal Canadiens player P.K. Subban. "P.K. flew down for that one night." said Park. "He was nice enough to finish the game very late at night and fly in the morning at four o'clock to support me." Park says the menu is going to stay close to his South American roots, and include a sushi component and a bit of Montreal flavour. He's tried to integrate a few elements that Drake will appreciate, but at the end of the day, he's taking charge doing what he does best. "Drake is a superstar artist. He has to focus on his artistry," said Park. "And I have to focus on my artistry."